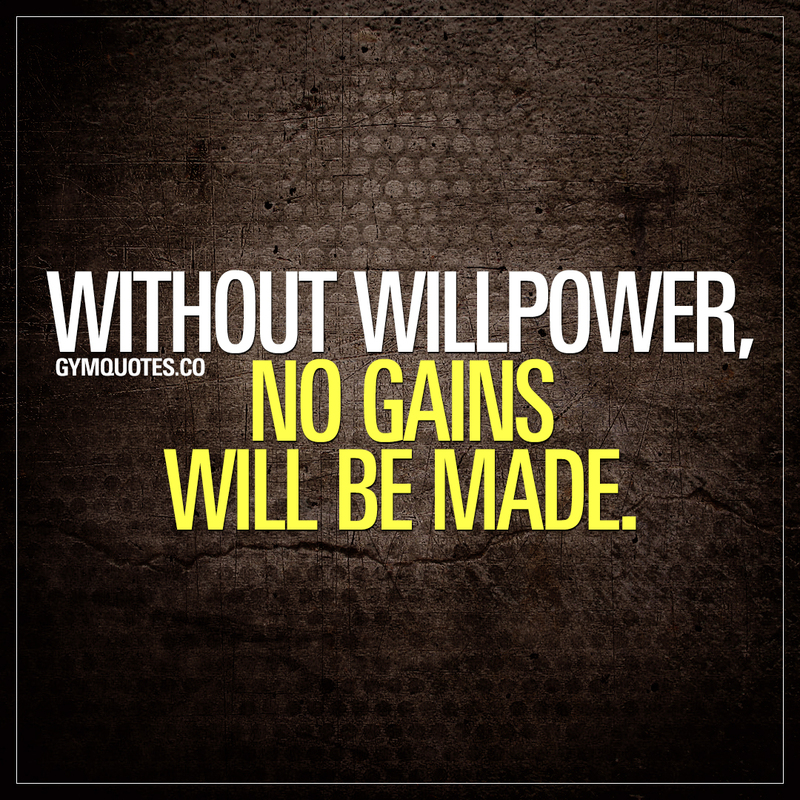 Willpower Gym Quotes: Without willpower, no gains will be made. Willpower is the very foundation of everything when it comes to making gains. Without willpower, no gains will be made. It’s that simple. Think long term, do not give up – and make yourself go to the gym – every single day and you will see those gains coming in! If you like this quote about having willpower to make gains, then share it with someone! Also, please join our tribe and sign up to our 100% FREE newsletter!